So I went to Google and did a search for site:gundogsupply.com intitle:pink intitle:collar and got list of URLS. There were pink MOPIX pages of regular dog collars, product pages of hot pink dog collars, Garmin Astro collar straps that were pink, Alpha straps, etc. Garmin T5 MINI Pink Collar. Garmin T5 MINI Additional GPS Dog Tracking Collar. TEK 2.0 2LT Pink Collar. MOPIX - Garmin TT15 MINI Pink Collar. K-9 Komfort 3/4 in. Pink Collar. Dogtra iQ No-Bark Pink Collar. iQ Pet No Bark Dog Collar by Dogtra. MOPIX - Educator ET-302TS-L Pink Collar. Leopard Mini Educator ET-302-A Remote Training Collar 2-dog. More Pictures: Educator ET-302TS-L Pink Transmitter Cover · Educator ET-302TS-L Transmitter. 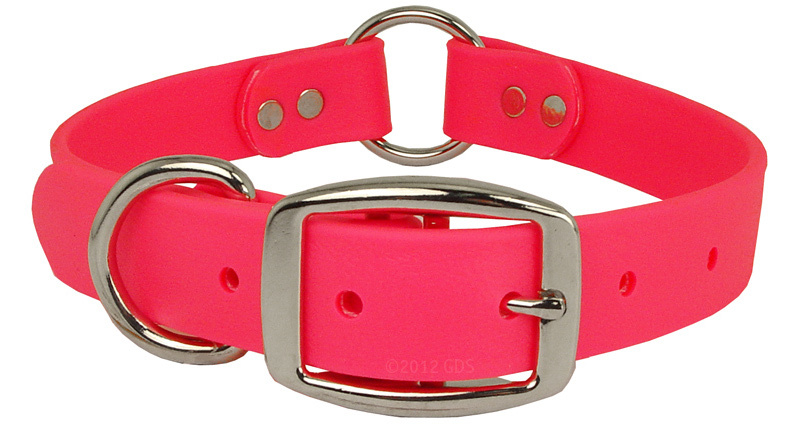 Pink Standard Day Glow Collar. MOPIX - TEK 2.0 2L Pink Collar. TEK 2.0 2L Pink Collar. REMOVE THIS AND the !-- NOSEARCH tag. PINK K-9 Komfort 1 in. TufFlex Dee-End Collar. $12.99. Pink D-End Day Glow Collar. Pink 3/4 in. Center Ring Day Glow Collar. PINK 1 in. Day Glow Center Ring Collar. $6.99. PINK 1" Day Glow Center Ring. How to Measure Your Dog's Neck | FREE Brass ID Plate Information Center Ring Day Glow Collar with nickel plated hardware. Pink 3/4 in. TufFlex Collar. Pink 3/4 in. D-end Day Glow Collar. MOPIX - Pathfinder TRX Additional Collar -- Pink. Dogtra Pathfinder TRX GPS Additional Collar. More Pictures: Dogtra Pathfinder TRX Additional Collar -- Black Dogtra Pathfinder TRX Additional Collar -- Black. Pink 1 in. TufFlex Collar. BEST-SELLER: Tufflex Center-Ring Dog Collar (1" Wide). More Pictures: Black 1 in. TufFlex Collar · Dark Brown 1 in. TufFlex Collar · Orange 1 in. TufFlex Collar. MOPIX - Contain n Train ADD-A-DOG Collar Pink. SportDOG Contain + Train ADD-A-DOG Collar SDF-CTR. More Pictures: Contain n Train ADD-A-DOG Collar Front · Contain n Train ADD-A-DOG Collar Back. MOPIX - 1 in. Pink Reflective Collar Strap. 1 in. Universal Square Buckle Reflective Collar Strap. More Pictures: 1 in. Orange Reflective Collar Strap · 1 in. Black Reflective Collar Strap · 1 in. K-9 Komfort Pink 1 in. Collar. MOPIX - Wig Wag Medium Dog Collar Honeysuckle Pink. WigWag 1" Medium Dog Collar -- Fits 14-19" Neck. More Pictures: Wig Wag Medium Dog Collar Brick Red · Wig Wag Medium Dog Collar Classic Blue. MOPIX - Wig Wag Petite Dog Collar Honeysuckle Pink. PINK 1 in. Day Glow Center Ring Collar Ring Outside. Wig Wag Large Dog Collar Honeysuckle Pink. MOPIX - 3/4 in. Pink Replacement Collar Strap. Wig Wag Small Dog Collar Honeysuckle Pink. Hi-Flex 1" 2-Hole Pink Replacement Collar Strap. HiFlex 1 in. 2-Hole Replacement Collar Straps. from this list I extracted the IDS and put them in the CONTENTS2 field of a new page.